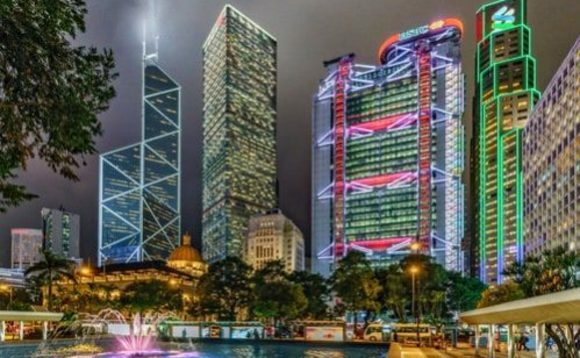 The Hong Kong Monetary Authority (HKMA) has revealed the first batch of virtual banking licenses, the latest in a series of moves to help push innovation in the territory and strengthen Hong Kong's position as an international financial centre. HKMA doled out three virtual bank licenses and is processing five more, deputy chief executive Arthur Yuen said in a briefing. Firms that got the permits have partnered with Standard Chartered, BOC Hong Kong Holdings Ltd. and ZhongAn Online P&C Insurance Co and they intend to begin operating within nine months, Yuen added. "The introduction of virtual banks in Hong Kong is a key pillar supporting Hong Kong's entry into the Smart Banking Era. It is a major milestone in reinforcing Hong Kong's position as a premier international financial centre. I believe that virtual banks will not only help drive fintech and innovation, but also bring about brand new customer experiences and further promote financial inclusion in Hong Kong," Norman Chan, chief executive of the HKMA, said. The introduction of virtual banks in Hong Kong is a key pillar supporting Hong Kong's entry into the Smart Banking Era"
After the granting of the above banking licenses, the number of licensed banks in Hong Kong will be increased to 155. The city is playing catch up with regional economies, notably China and India, by allowing fintech to shake up retail banking. "This will help foster fintech development in Hong Kong and promote financial inclusion," the Hong Kong Association of Banks said in a statement. "The industry can leverage this opportunity to develop new business models." Virtual banks are similar to traditional retail banking services in that they will be able to accept deposits and give out loans. They are not expected to set up physical branches. Mary Huen, CEO of Standard Chartered (Hong Kong), said: "As the oldest note issuing bank in Hong Kong, Standard Chartered has been serving the community for 160 years. Today, we are delighted to be among the first to receive a virtual bank licence from the HKMA and we are excited to partner with PCCW, HKT and Ctrip Finance. The strengths of our partners combined with our own rich banking expertise mean that we are in a strong position to provide diverse financial solutions to redefine the banking experience for customers in Hong Kong." The shift to virtual banks is expected to hit HSBC Holdings, Standard Chartered, Hang Seng Bank and BOC Hong Kong Holdings, which account for 66% of the retail loan market and 77% of mortgages, the most, according to Goldman Sachs.